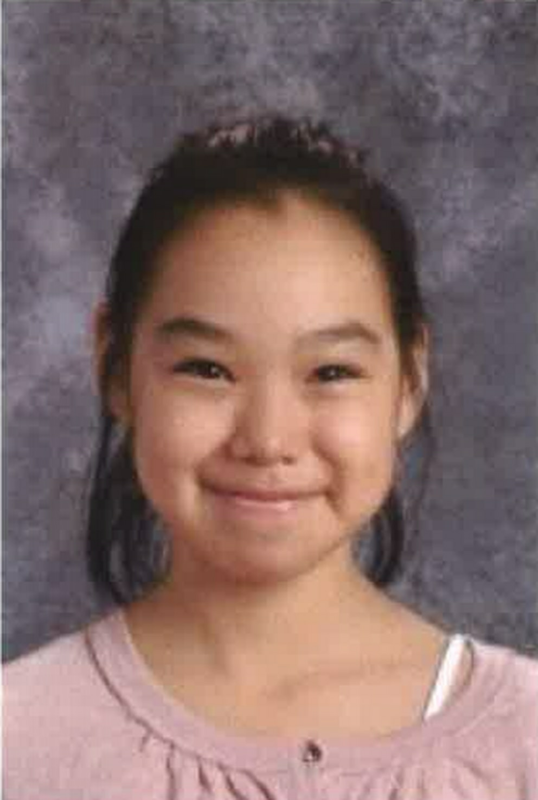 Investigators on Saturday continued to comb an area outside Kotzebue for new clues after a young girl's body was found Friday on the tundra after an eight-day search, officials said. New details also began to emerge about the man arrested in connection with the disappearance of Ashley Johnson-Barr, 10, who vanished on Sept. 6 after playing at a playground in the Northwest Alaska city. Johnson-Barr's disappearance inspired an outpouring of support from communities across Alaska, who held candlelight vigils and marches during the search, with many people wearing her favorite color purple. Walter "Scotty" Barr, the girl's father, said by text on Saturday he was happy, at least, his daughter had been found. "Love u my dimples," he posted on Facebook, above a photo of his daughter with a smile, wearing purple. "My daughter is home and we are happy to have her," Barr said by text. Elizabeth "Kookie" Ito, who organized nightly vigils in Kotzebue at the playground where Johnson-Barr was last said to be seen, said about 300 people gathered on Thursday night while the search continued. People gathered again Friday evening in remembrance and to show support to Johnson-Barr's family, after the sad news was announced. People prayed and sang songs, including "Jesus Loves the Little Children." Ito remembers seeing Johnson-Barr at sporting events with her family, "smiling all the time." "Such a beautiful little girl," Ito said. Peter Wilson of Kotzebue, 41, has been arrested and faces charges tied to the case — for making false statements to the FBI. Charging documents against Wilson could be filed in federal court as early as this weekend, said Staci Feger-Pellessier, a spokeswoman with the FBI. Wilson has not been charged with her death or disappearance, or other additional charges. Kotzebue residents described Wilson as quiet, from a large, close family. They say he often kept to himself, staying outside most social circles, though he seemed polite. Walter "Scotty" Barr said by text on Saturday that he did not know a lot about Wilson, a view others expressed as well. Clement Richards Sr., mayor of the Northwest Arctic Borough, said he was "shocked" to hear Wilson was arrested. "He had issues with the law, I know that. But as to say why he did what he did, or if he did what he did, I have no idea," Richards said. A Peter V. Wilson, 41, pleaded guilty to charges of second-degree burglary in Superior Court in Kotzebue in 1995 and 1996, according to state records. State records also show a history of minor charges, the last in 2010, when Wilson pleaded guilty to fourth-degree assault, a misdemeanor. About five years ago, Richards lived near a house that Wilson once frequented, after the neighbor sort of took him in. "He grew up struggling like everyone else, with very limited job resources around here," said Richards, who said he would see Wilson in passing but didn't socialize with him. Members of Wilson's immediate family could not be reached for comment Saturday. Richards said Wilson was born in Kiana, about 60 miles from Kotzebue. But he grew up in Kotzebue, a city of about 3,200 people. Ito said Wilson had lived on property owned by her brother. Wilson had recently expressed an interest in cleaning up the property, removing old items that needed to be cleared away, she said. Some people in town are angry with him, she said. Jonathon Taylor, a spokesman with the Department of Public Safety, said more than 25 investigators have been directly involved in the case from multiple agencies, including 17 people from the FBI. Johnson-Barr' body was found about a mile outside town, on the tundra, Taylor said. It was about half a mile from Devil's Lake, the city's water source, perhaps some 1,000 yards off Loop Road, Richards said. On Saturday, experts were detailing the scene where Johnson-Barr's body was found, and combed the tundra for clues. Her body will be sent to the state medical examiner's office for review, Taylor said. One question investigators are looking into is how long Johnson-Barr's body was there, he said. Dozens of searchers had canvassed the city and surrounding areas for days, from aircraft, four-wheelers, foot and boats. Teams with search dogs had arrived from other Alaska communities. Johnson-Barr's cellphone was found "in the street" about half a mile from the park, according to a statement from Kotzebue Police Chief Thomas Milliette. Taylor would not explain what specifically led to the discovery of Johnson-Barr's body. But the evidence tied to the investigation provided a break that helped find her, he said. "Based on evidence and the investigation, they were conducting additional canvasses, and that's when her body was found," said Taylor. "The whole town is exhausted, grieving," Richards said. "But they're also relieved they found her, with bitter-sweetness. They're trying to move forward, and be there for the family." A fund has been set up for Johnson-Barr's family on the GoFundMe website, said Nasruk Carl Weisner, the borough assembly president. By Saturday evening, close to $17,000 had been raised in five days. "There's a lot of people who want to contribute, who are out of town, and are aware of the tragedy, so this is an opportunity for them to provide some help to the family," Weisner said.